New Translation | ADULT CATECHESIS & CHRISTIAN RELIGIOUS LITERACY IN THE ROMAN CATHOLIC TRADITION: hosting ONLY True Christians!! !, or "How to think Catholic!!" -by Rev. John F. Baldwin, SJ. Father Baldwin is professor of historical and liturgical theology at the Boston College School of Theology and Ministry. 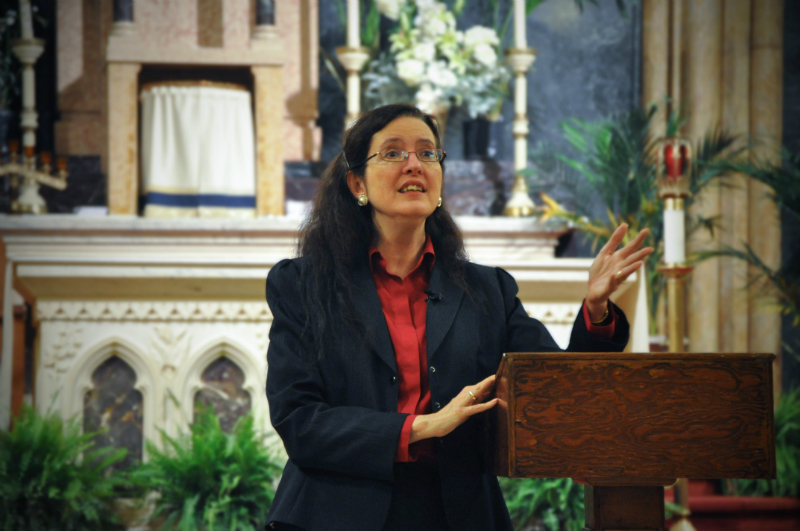 “The question of who has appropriate responsibility for the translation of liturgical texts has been a kind of political football since the Second Vatican Council. On the one hand, the council clearly wanted that responsibility to rest mainly with episcopal conferences (i.e. national assemblies of bishops). On the other hand, even before the council ended, a Vatican instruction on implementing the liturgical reform put the weight of responsibility not on the national bishops conferences but on the recognition and confirmation of translated texts by the Holy See (i.e. the Congregation for Divine Worship and the Discipline of the Sacraments—as it is now known). In English-speaking countries this procedure did not seem to cause much concern during the first wave of translation (through the 1970’s). However, beginning with the second generation of revisions, especially the revision of “Pastoral Care of the Sick: Rites of Anointing and Viaticum” (1983), the Vatican began to become more proactive in scrutinizing translations sent to them. In the meantime the International Commission on English in the Liturgy (ICEL) made up of bishops of eleven English-speaking episcopal conferences continued to produce revised translations according to the principles laid out in the Congregation for Divine Worship and the Discipline of the Sacraments’ own document on translation, “Comme le Prévoit,” published in 1969. During the 80’s and 90’s relations between the Vatican and ICEL became more and more strained. A crucial moment came with ICEL’s new translation of the liturgical psalter in 1995. Three years later the Vatican forced the U.S. bishops conference to withdraw its approval (imprimatur) for the translation. In 1997 the Vatican responded to the proposed ICEL translation of the Rites of Ordination with a letter citing 114 errors and claiming that many more were found in the translation that had been sent to the Congregation for Divine Worship and the Discipline of the Sacraments. It should be noted that each episcopal conference needs to approve translations to be sent to Rome by a two-thirds vote. With the new U.S. representative to ICEL, Cardinal Francis George, taking the lead the Vatican proceeded to change ICEL’s constitution and remove its long-term executive secretary, Dr. John Page, as well as all of the advisors who had done the work of preparing the translations for the bishops’ approval. At the same time the Congregation for Divine Worship and the Discipline of the Sacraments issued a new instruction on translation, “Liturgiam Authenticam” (2001), which reversed the translation strategy of “Comme le Prévoit” insisting on a much more literal translation of the Latin texts (including word order and punctuation) than the previous philosophy which was commonly called dynamic equivalence. As is well known, this change imposed by the Vatican led to the scrapping of a translation of the Roman Missal that had been approved by all of the English-speaking conferences in 1998 (again by a two-thirds vote in each conference). A new translation of the Missal was prepared and approved in 2010. It had been preceded by a revised ordination rite and followed by a translation of the rite of confirmation and just a year ago by a new translation of the second edition of the marriage rite, which had appeared in 1992! Last December Pope Francis announced that he was appointing a commission of bishops and experts under the chairmanship of the secretary for the Congregation for Divine Worship and the Discipline of the Sacraments (second in command), Archbishop Arthur Roche, to review “Liturgiam Authenticam.” They met sometime last winter. The motu proprio, “Magnum Principium,” issued by Pope Francis today is presumably a response to their report. This latest document may not be a bombshell but it is certainly a significant change in direction with regard to who has responsibility for liturgical translations. The pope has changed Canon 838 in two important ways. §2. It is for the Apostolic See to order the sacred liturgy of the universal Church, publish liturgical books and recognise their translations in vernacular languages, and exercise vigilance that liturgical regulations are observed faithfully everywhere. §2. It is for the Apostolic See to order the sacred liturgy of the universal Church, publish liturgical books, recognize adaptations approved by Conferences of Bishops according to the norm of law, and exercise vigilance that liturgical regulations are observed faithfully everywhere. This latest document may not be a bombshell but it is certainly a significant change in direction with regard to who has responsibility for liturgical translations. In his explanatory “key” to reading the motu proprio Archbishop Roche asserts that “Liturgiam Authenticam” needs to be reinterpreted in light of the new document with regard to how it deals with the Vatican’s stamp of approval. What are the consequences? In the first place, the Vatican still has the last say on translations. That has not changed—nor is it likely to for fairly obvious reasons like the unity of the faith. But, second, the Vatican commission, Vox Clara, which had been established by Pope John Paul II in 2002 to help the Congregation for Divine Worship and the Discipline of the Sacraments vet English translations is now redundant. For many it had been a clear violation of the spirit and the letter of Vatican II in the first place. Third, those conferences which have been experiencing tension with the Vatican over revised translations, like the French-speaking and German-speaking, now have much more breathing room in deciding what is best for translating liturgical texts. Fourth, conferences will now have great latitude in applying the rules set out in “Liturgiam Authenticam.” In any case it would be a good time for the Vatican to issue a more balanced statement on translation in line with the pope’s obvious desire to respect the “entire communicative act” (surely a reference to “Comme le Prévoit”) as well as to be faithful to sound doctrine. Finally, what about the English-speaking Catholic world? It is no secret that the 2010 translation has received a mixed reception and a number of prominent Catholics, not least the Australian Jesuit theologian, Gerald O’Collins, have called for a reconsideration of the current missal. Many will rejoice greatly if the current translation is revisited. Certainly, some will not. The bishops, particularly the U.S. Bishops’ Conference, will have to decide how to proceed. They now have much more authority over liturgical translation. The ball is in their court. ‘America’ Magazine Editor’s note: the author has clarified this article with respect to which changes to the Latin text fall under the authority of episcopal conferences and also which aspects of “Liturgiam Authenticam” stand in need of reinterpretation. What’s wrong with the new translation of the Roman Missal? “And with your spirit” – surely the most noticeable change at Mass for those of us in the pews. Friends have taken to ‘keeping score’ of how many they get right (I hit all 4 today, without using the card!). Fortunately, there is a very in-depth article about this phrase written by the late Fr Austin Milner OP, but to summarize – praying for the Lord to be with someone’s spirit is entirely Biblical; St. Paul signs off his letters to the Galatians and Philippians, and to St. Timothy and Philemon in various ways, but always praying that the the Lord or His grace will be with their spirits. This greeting/prayer is unique in the ancient world to Christianity – “and with your spirit” is therefore one of the most Christian things you can say. So why “and with your spirit”? According to St. Albert the Great, St. John Chrysostom, and more ancient sources, the people of God are praying that the Holy Spirit, the Spirit which gives the graces of Christ’s priesthood to mere men, may be with the priest’s spirit (soul) as he performs the sacred actions. After all, receiving those priestly graces at ordination works no change in a man’s body, but eternally changes his soul, so while he must perform the actions with his body, it is through his spirit that the Holy Spirit works. As Chrysostom puts it: “For he who is there is a man, it is God who works though him. Do not attend to the nature of the one you see, but understand the grace which is invisible. Nothing human takes place in this sacred sanctuary.” Finally, in the majority of European translations of the Latin, they have kept this phrasing e.g. “et avec ton esprit” in French. We’re all part of a universal i.e. catholic church, and as such, should all at least say the same prays, even if in different languages, right? “Consubstantial” – perhaps the most controversial change to the Nicene Creed, at least for some people. Someone I love dearly told me this morning that this new translation has a lot of “exclusive language” in it, citing this as an example – “people don’t understand what Consubstantial means”. The implication here is that they did understand what “of one being with the Father” meant, but I wonder how many Catholic Christians, when asked, would be able to give a satisfactory answer regarding the susbstantial unity of Father and Son (and Holy Spirit). Further, it is incredibly patronising to suggest that some people are just too stupid to understand what ‘consubstantial’ means, and that by its use they are somehow excluded from the liturgy. When I pointed out to her that the problem isn’t the word ‘consubstantial’, it’s that we haven’t been taught what it means – everyone would be able to understand it, if only someone would explain it to us, she agreed. As with all similar misunderstandings and reservations about this translation, where the Church has fallen short isn’t in the translation, it’s in the catechesis which should have accompanied it. The blame here lies, not with the Pope, or even most Bishops, who have published booklets and DVDs and all sorts in an attempt to explain what was going on – the blame lies with us in the parishes. When was the last time you heard a priest give a homily on the meaning of ‘consubstantial’? 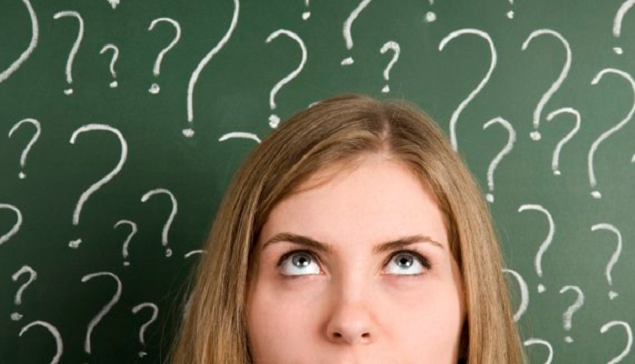 Have there been any workshops in your parish to explain, not just what was changing, but why? I didn’t think so. (For those of you in this diocese/parish, watch this space). “Pray brethren” – the phrase which caused the outburst which is the title of this post: “It’s a complete insult to half the population!” Undeniably, ‘brethren’ began as an alternative plural form of ‘brother’, and was used alongside ‘sistren’ in the middle ages, and even up to Shakespeare’s time. From then on, ‘brothers’ began to take over as the plural form, and ‘sistren’ fell out of use completely. ‘Brethren’ became, by the start of 17th Century, an exclusively religious word, meaning “fellow members of a religious community” without distinction between the sexes e.g. the Plymouth Brethren, a non-denominational sect of 19th Century, comprised of both men and women. Therefore, when the priest says, “Pray brethren” he is undeniably talking to both men and women! What’s more, a straw poll of a number of female friends, all under the age of 25, revealed that they were not in the least offended by the word. The man who raised the objection is well into his late 70’s. Only the “spirit of Vatican II” generation cares about these things, while the “Second Vatican Council” generation (i.e. us) have a deeper understanding of the meaning, and more important things to worry about. “this precious chalice” – after the first week of using the new translation, one of the elderly women at my parish asked me what I thought of it. I didn’t wax lyrical, but made it clear that I was heartily in favour of it. She had a number of reservations, and this was the one she singled out. Her concerns about this phrasing betrayed a faulty understanding of the Eucharistic celebration, which a couple of priests have told me were all the rage in the 1970s. As such, it’s not entirely her fault – this was what she was taught by those she trusted to teach her the truth. So what bothered her about this wording? “I think ‘cup’ is better because it reminds us that Jesus was sharing an ordinary meal with his friends.” Have you ever heard that before? I’d be surprised if not. If one thing is clear from the Gospel accounts of the Last Supper, it’s this – it was a highly ritualised, liturgical event. As we know from the Old Testament, there were symbolic foods, special psalms, and other customs which had developed by Our Lord’s time (like the Five Questions) associated with celebrating the Passover, and it was participated in by all the people of Israel. It wasn’t dinner at a stranger’s house on a Thursday night! “But what about those Gospel accounts?” some might say. “They clearly say ‘cup’ in 1 Corinthians, Matthew, Mark, and Luke.” Well, they say that in most English translations, though not in all. However, an important principle in the liturgy comes into focus because of this logical objection – the liturgy interprets Scripture, and is its own source of theology and teaching. The Church is the preserver and giver of both liturgy and Scripture, and we must remember that the liturgy is the elder of the two (1 Corinthians having been written around 20 years after the institution of the Eucharist). As such, the Church may legitimately emphasise something in liturgy which is implicit, but not necessarily explicit, in the Bible, something Pope Benedict alludes to regarding this exact phrase in this homily from Maundy Thursday [paragraph 7 – “The Roman Canon interprets this psalm…”]. So why “this precious chalice”? When we say this phrase, we tend to stress “precious chalice” – for us this undoubtedly recalls images of the gold, silver, enamelled chalices we’re used to seeing at Mass. The real meaning, though, is found in the only other common Catholic phrase with the word ‘precious’ in it – the Precious Blood. It is not the material the chalice is made from which makes it precious, but rather it’s being made for and coming into contact with “His Most Precious Blood”, as the Divine Praises put it. If a coffee cup has to be used for Holy Mass because nothing more suitable is available, it becomes a ‘precious chalice’ and should be treated as such, as Servant of God Dorothy Day ably demonstrated [search for the word ‘chalice’]. The words “precious chalice”, then, are bound up with our belief in the Real Presence of Christ in the Eucharist. “Cup” just doesn’t do it justice. Yet if we neglect the first word in the phrase i.e. “this”, we’re also missing a key point. The Church wishes to make clear to us an incredible fact – “The sacrifice of Christ [on the Cross] and the sacrifice of the Eucharist are one single sacrifice” [CCC 1367. Emphasis in original]. When the priest acts as Christ did, taking the chalice in his hands and saying His words, there is actually no difference between ‘our’ chalice and the Lord’s chalice of nearly 2,000 years ago – both contain the same Precious Blood. In a very real way, we are ‘transported’ back to that upper room where Christ began the New Covenant at every Mass we go to. Or rather, that Passover with the Apostles is brought through time to us (the Catechism has a good explanation of the meaning of “memorial” as applied to the Mass in CCC 1362-1364]. Love, from a downright recalcitrant, me. 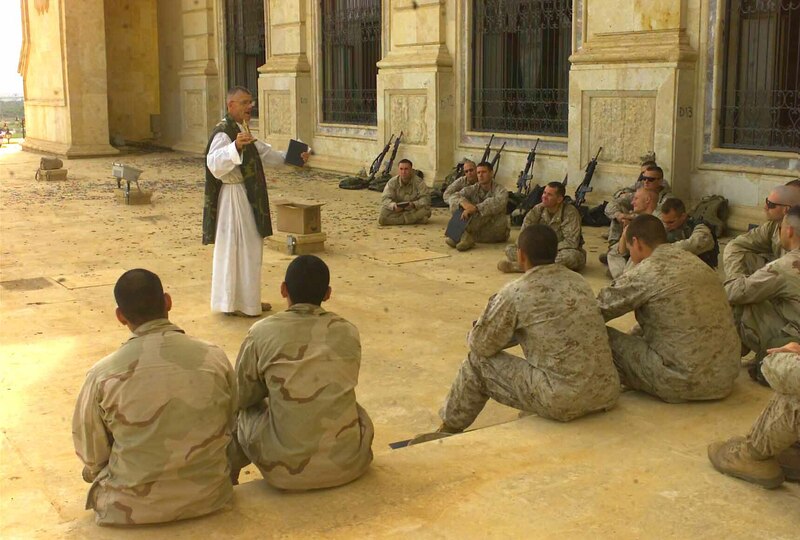 4/19/03 – 7th Marine Regiment Chaplin, Father Bill Devine speaks to U.S. Marines assigned to the 5th Marine Regiment during Catholic Mass at one of Saddam Hussein’s palaces in Tikrit, Iraq. Praise the Lord! Well, I must confess. I agree. I have been silent, dead silent at Mass since November 2011, not uttering a word, not a syllable. My conscience informs me so, I cannot speak. And I have kept Holy Silence, in obedience, with regards to my opinion. Silly. Stupid. Literal translation? How do you spell oxymoron??? How do you spell insecure??? I expect the Inquisition will be moments from breaking down my door once I hit send on this one. 🙂 It was nice blogging with you! The good thing is Roman Catholicism is a LIVING tradition! We can and should disagree, civilly, where appropriate, aware of doctrine vs discipline, ALWAYS! At least there are some still left to care enough to note these things! Catholicism = Universal, not uniform. It’s a sign of health. Really. It is. Sensus fidelium. It is ALWAYS healthful to reread Scripture. May I recommend Mt 23:1-33? Peace. “According to a landmark national study released today, Catholic clergy and lay parish leaders in the United Stated for the most part do not like the new Roman Missal which was introduced in November 2011. The study was commissioned by the Godfrey Diekmann, OSB Center for Patristics and Liturgical Studies of Saint John’s School of Theology Seminary in Collegeville, Minnesota, and carried out by the Center for Applied Research in the Apostolate (CARA) at Georgetown University. 58% of clergy disagree (35% strongly) that they like the more formal style of language in the new text. Only 39% of clergy think the new missal is an improvement on the previous translation. 58% disagree, 32% strongly, that it is an improvement. 76% of clergy agree, 50% strongly, that some of the language of the new text is awkward and distracting. A majority of clergy think that the new translation urgently needs to be revised – 54% agree with this, 37% agreeing strongly, whereas 41% do not think it urgently needs to be revised. Clergy do not think other rites (marriage, confirmation, divine office) should be translated in a similar style, by a margin of 57/41. The study reveals some disturbing trends about the trust Catholic clergy place in Church leadership. Asked whether they are confident that the views of priests will be taken seriously in future decision about liturgical translation, nearly 2/3 (63%) are not confident that they will be heard. The largest group of clergy, 33%, disagree strongly that their views will be taken seriously. Only 23% of clergy think that priests’ views will be taken seriously, of which only 7% strongly agree with this sentiment. Half of all clergy (50%) say they do not approve of the leadership of the Holy See in Rome in bringing about the new missal, with 44% supporting the Holy See. When priests and lay parish leaders are taken together, the margin of support for the new missal is a bit higher than the views of just clergy. But this larger group of clergy and lay leaders together still rejects the formal language of the missal by a 55/41 margin, thinks that some of the language is awkward and distracting (75/24), disagrees that the new missal is an improvement (55/40), and thinks that the new translation urgently needs to be revised (50/42). This new study by CARA largely corroborates the results of a less scientific study carried out by the Diekmann Center and released in May, 2013. That study invited all priests in 32 participating U.S. diocese to state their views on the new missal. That studied showed that 59% of priests do not like the new missal, compared to 39% who do. Priests rejected the more formal language by a 57/36 margin, and 80% agreed that some of the missal’s language is awkward and distracting. 61% said that the new translation urgently needs to be revised, and 61% did not think other rites and sacraments should be translated in the same style as the new missal. In the earlier study 55% disagreed that priests’ views on translation would be taken seriously, and 49% did not approve of the Holy See’s leadership in bringing about the new missal. The Roman Missal retranslation was made necessary by the controversial 2001 Roman document Liturgiam authenticam which has been stronglyy criticized by leading liturgical scholars. A widely-aclaimed earlier revision, carried out from 1981 to 1998 and approved by all the bishops’ conferences of the English-speaking world, was discarded by the Holy See with the issuance of the 2001 translation directives. Pray Tell has reported extensively on the long and difficult path toward the 2011 Roman Missal. An essay on the new missal by Fr. Cutcher will be published tomorrow at Pray Tell. “Beginning in Advent of this year, the language of the Mass will be very different. A new translation of the Roman Missal—the book of prayers used in the Mass—will be put into use in all Catholic churches in the English-speaking world. Some who have read the new prayers are pleased with the changes. Others are gravely concerned. In recent months, priests in Ireland, Australia, the United States, and elsewhere have voiced objections, saying this translation is not what the church needs—and that it will be divisive. What is it about the new translation that has caused such an uproar? these gifts we offer you in sacrifice. We offer them for your holy catholic Church…. for your holy Catholic Church. Having offered these gifts, offerings, holy and unblemished sacrifices firstly for the church, you might be thinking there is a secondly coming along in a paragraph or two. If so, you would be wrong. There is no secondly. So what does firstly mean in this context? It’s not clear that it means anything at all. Different words, same prayer? Both are translations of the same Latin text, yet the results are quite different. Change the words and you change the prayer. Clarity and intelligibility were principles of liturgical renewal specifically named by the fathers of the Second Vatican Council in the Constitution on the Sacred Liturgy. Until 2001, those who translated liturgical texts into English placed a high priority on the council’s mandate for clarity and intelligibility. Those were essential guiding principles of liturgical reform, not secondary considerations. Since the publication of the new Vatican instruction on translation Liturgiam authenticam in 2001, however, other principles are deemed more important. They include: the exact rendering of each word and expression of the Latin, the use of sacral vocabulary remote from ordinary speech, and reproduction of the syntax of the Latin original whenever possible. When a choice must be made, those principles trump the principles of clarity and intelligibility. The result has been, not surprisingly, a translation that is filled with expressions not easily understood by English speakers. It has resulted in prayers that are long-winded, pointlessly complex, hard to proclaim, and difficult to understand. What is the main point? It is hard to tell. We are wandering in a dense forest of theological and biblical allusions here. There are traps for the unwary, too. If the speaker is not careful to separate the first line from the second and join the second with the third, separating them from the first, he ends up suggesting that the Blood of Christ and the power of the Spirit are instrumental in scattering God’s children. Even read well, this prayer will likely lose all but its best-educated and most highly attentive hearers. of the text we are about to receive did not. Why? Each word of the Latin had to be accounted for. Other changes introduced by Vox Clara lack evident rhyme or reason. For example, the Latin word profusis, which appears at the conclusion of every preface of the Easter Season, is translated as “overcome.” Profusis means “overflowing.” When the world is described as overflowing with paschal joys, as the 2008 translation had it, one imagines graceful scenes from Botticelli. When reference is made to being overcome, one imagines smelling salts. This is one of an estimated ten thousand changes Rome made in the Missal after the bishops approved the translation in 2008. The current translation is not without problems. At times it is simple to the point of banality. The richness of imagery and the theological depth of the Latin original does not always come through. The first retranslation of the Missal, which was approved by all the conferences of English-speaking bishops in 1998, addressed most of these problems quite effectively. Yet the Vatican judged that it did not go far enough. Now, with the 2010 translation, we have swung to the opposite extreme. The new translation is mired in long-winded complexity. Overall, the length of the sentences in the new translation is staggering. The longest sentence of the Eucharistic Prayers has 82 words, the second longest, 72. All but one of the sentences in Eucharistic Prayer I are more than 40 words long. The current translation of that prayer has 18 sentences before the consecration. The new translation has 8. The average number of words per sentence in the new Eucharistic Prayers is 35.4, compared to 20.6 at present—an increase of 78 percent. Are spoken texts in liturgy generally so wordy? Pope Benedict is not averse to using long, complex sentences. Yet his Ash Wednesday homily averaged 23.2 words per sentence. Certainly Scripture offers long sentences, especially in the writings of St. Paul. Yet the beloved eighth chapter of Paul’s Letter to the Romans has an average sentence length of only 27.38. 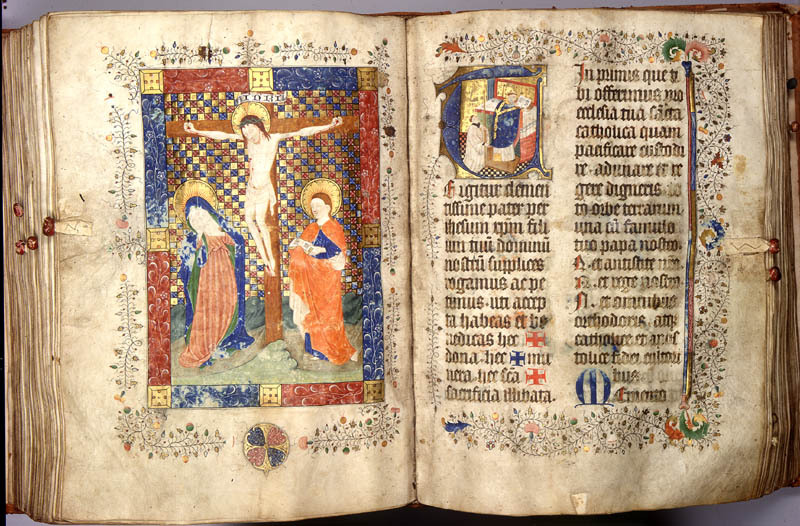 This final example provides the closest comparison, yet the new Missal far surpasses it. your Church may now see in great part fulfilled. That 53-word sentence makes sense if one has the leisure to study it and perhaps to draw a diagram. But the person in the pew does not have that luxury. She or he will hear this prayer once a year at most. An individual word or phrase may ring a bell. But the essential meaning of the prayer will be lost. As an act of oral communication, a text such as this cannot but fail for the vast majority of Catholics. Like so many of the newly translated prayers, it will come across as theo-babble, holy nonsense. There are already formidable challenges to oral comprehension built into the pastoral situations in which the liturgy is celebrated. International priests make up 22 percent of the active diocesan priesthood in the United States today. Accented English can make even our current translation difficult to understand. Many parish communities include a significant number of people whose first language is not English. They will be asked to digest sentences that even native English speakers will have a hard time comprehending. Children and youth and those who are less educated will also be placed at a great disadvantage. Despite such occasional bright spots, however, the overall picture is deeply discouraging. Here are a few examples. 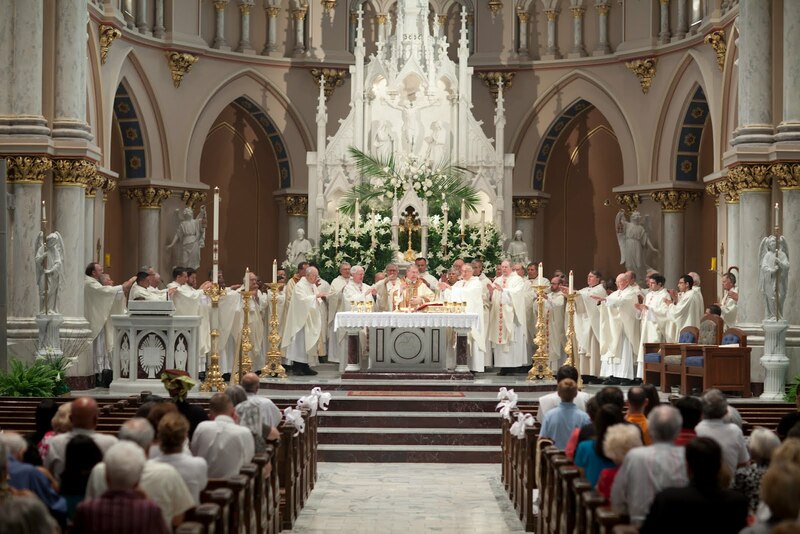 No longer will the Mass proclaim that Christ’s sacrifice was offered “for all, so that sins may be forgiven.” Rather, we will hear that it was offered “for many.” Much attention has been paid to this change (see “All In?” by Toan Joseph Do, Commonweal, December 19, 2008); we do not need to rehearse all the arguments here. Suffice it to say that this little phrase is what one might call a “false friend”—an expression you’re sure you understand, until you find out it means the opposite of what you were sure it meant. In normal English, many does not mean all. It means many. In the Mass, however, in our new sacral language, we have to remember that many means all. We can’t say Christ died for all, because that’s not what it says in the Latin. But we have to mean all because that is our Catholic theology. When I first learned that the words of the Centurion were going to appear in the new translation, my expectations were positive. I remembered from my childhood this lovely acclamation: “Lord, I am not worthy that you should come under my roof. Speak but the word and my soul shall be healed.” I loved its poetry and rhythm. It sang. The new translation aims at creating a sacral language used only in church. The fact that a word is arcane or uncommon is no barrier to its usage. In fact, such words are sometimes preferred to those that have everyday usage. Thus the Latin word calix has been translated as “chalice,” rather than “cup.” The demand to translate every Latin word in the new translation has also resulted in the use of multiple adjectives. Yet English is especially effective when plain and unadorned. Multiple adjectives weaken a text rather than strengthen it. When adjectives pile up, the results seem stagy or false. English speakers are accustomed to hearing “When supper was ended, he took the cup.” Such spare language is forceful. The new translation, by comparison, is fussy. An especially unfortunate effect is created in this instance because it transforms Jesus into a priest saying Mass in a church. A chalice is put into the hands of Jesus at the Last Supper. Of course chalice is a word never used in modern English except to describe our sacred vessel in the Mass. The holy hands of the priest at Mass, so much a staple of the mystique of ordination, provide the template for how to describe the hands of Jesus. This sort of language is jarringly anachronistic. It compromises Jesus’ historicity in order to exalt the clergy. All these dispositions—joyful trust, fear of the Lord, consciousness of sin—are part of the Christian life. But the dominant note will change. Will this change be welcomed? Or will it be greeted with incomprehension and confusion? The presumption that God prefers courtly language in prayer, a settled presumption of the Latin text, has had more than forty years to recede from public consciousness. Will its sudden reintroduction invite the faithful into more authentic worship, or will it merely distance them from the God whom Scripture calls “my joy, my delight” (Ps. 43:4)? Where is this new translation taking us? It is important to realize that negative responses to the new translation reflect both dismay at the wording of the text and disagreement with the principles that guided its production. Yet the conflict goes deeper than an argument over theories of translation. That the new translation of the Roman Missal should come to us replete with embarrassing gaffes, nonsensical passages, and a near-total lack of accountability is as clearly a symptom of the misuse of authority as it is the fault of the questionable set of translation principles enunciated in Liturgiam authenticam. Yet even the misuse of authority is not the root cause of the immense disquiet and even outrage that this translation has aroused. Beneath the words of the new translation, one senses a drive to minimize the practical effects of Vatican II. The reforms of Vatican II prized clarity and intelligibility in the liturgy; they gave priority to the work of ecumenism and evangelization; they respected the local work of bishops conferences; they invited aggiornamento and engagement with the world. This vital heritage is being eclipsed by another agenda. We are seeing a wooden loyalty to the Latin text at the price of clarity and intelligibility. We are seeing a retreat from advances already made in ecumenism. We are seeing the proper role of local bishops and bishops conferences increasingly taken over by the authorities in Rome. We are seeing the liturgy reimagined as an event taking place in some sacral space outside of our world, rather than the beating heart of a world made new.